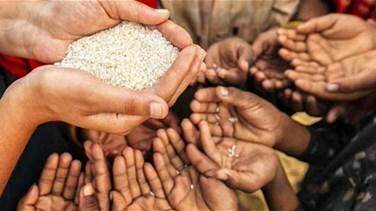 Conflict and insecurity were responsible for the desperate situation faced by 74 million people, or two-thirds of those affected, in 2018, said the Food Security Information Network's (FSIN) annual Global Report on Food Crises. The FSIN is a global project sponsored by the United Nations' Food and Agriculture Organization (FAO), the World Food Program and the International Food Policy Research Institute. Analyzing 53 countries, it uses a five-phase scale with the third level classified as crisis, fourth as emergency and fifth as famine/catastrophe. The decrease is mainly because in 2018, countries did not experience the same levels of drought, flooding, erratic rains and temperature rises they did in 2017, said FSIN. FSIN said it excluded 13 countries and territories including North Korea, Venezuela and Western Sahara due to a lack of recently validated data.